Born Jul 18 18914,5,6,7 [about 18932], Bois D'Arc, Greene County, Missouri4,5,6,7. Hinshaw, Evert W., head-of-household, age 37, born in Missouri; parents born in U.S.A.; first married at age 31; rented home ($100 rent); radio in home; occupation: none..
Hinshaw, Ida R., wife, age 32, born in Utah; father born in England; mother born in Utah; first married at age 25; occupation: none. Hinshaw, Dona Marie, age 3 years 6 months, born in Colorado; father born in Missouri; mother born in Utah. Hinshaw, Marilou, age 7 months, born in Utah; father born in Missouri; mother born in Utah. 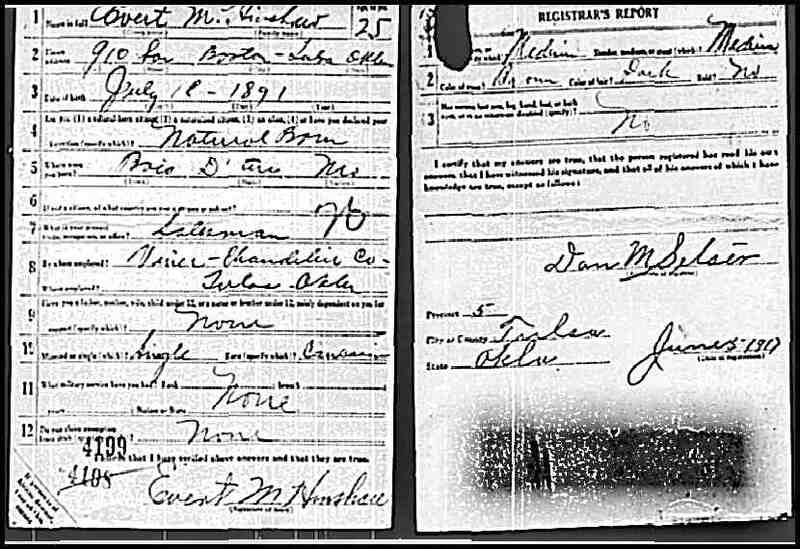 Moses, Arabell, companion, age 21, born in Utah; father born in Arizona; mother born in Utah; single; occupation: companion, private home. 1930 census, Santa Monica, Los Angeles County, California; roll T626-174, ED 1480, page 1B, line #91, dwelling #23, family #28. 1900 census, Center Township, Greene County, Missouri; ED 47, page 64B, line #70, dwelling #14, family #14. Oregon Death Index, 1903-1970; http://www.ancestry.com. Mattie Hinshaw Murphy's obituary in the Ash Grove Commonwealth.